The wind was NW backing W, but declining in strength. I decided to give St Ives a try for a couple hours before work. The photography opportunities are the best possible from mainland here, but on reflection, nearby Pendeen definitly gets greater numbers. These are the numbers from yesterday, allbeit, Pendeen counts are for a longer period. St Ives Island, 61m-8.45. 1,000's Manx, 6 Balearic Shearwater, 5 Great Skua, 4 Arctic Skua, 1 Common Tern, 1 Arctic Tern, 21 Sandwich Tern, 1 Grey Phalarope, 5 Common Scoter, 2 Curlew. 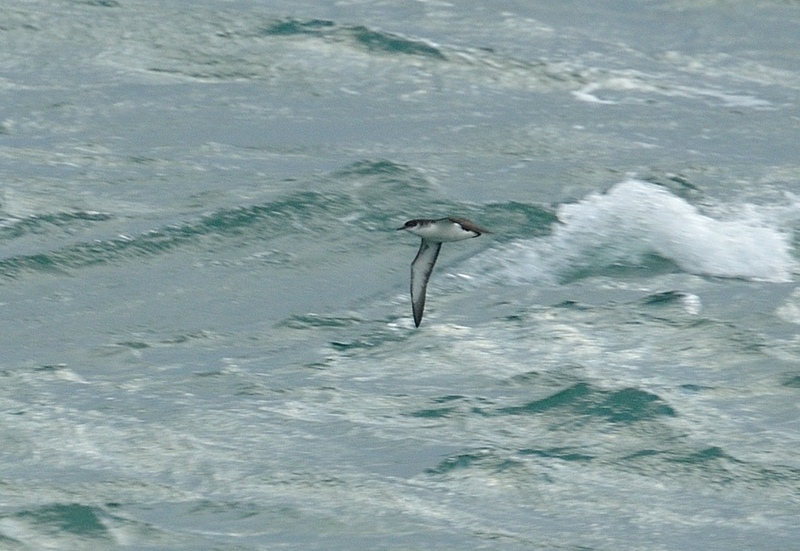 Pendeen: 2 Great Shearwater, 75 Sooty Shearwater, 14 Balearic Shearwater, 1'000's Manx, 1 Leach's Petrel, 3 Storm Petrel, 22 Great Skua, 25 Arctic Skua, 1 Pomarine Skua, 2 ad Sabine's Gull, 26 Sandwich Tern, 10 Arctic Tern, 17 comic tern, 12 Common Scoter, 13 Black-tailed Godwit, 2 Curlew. Courtesy CBWPS site. 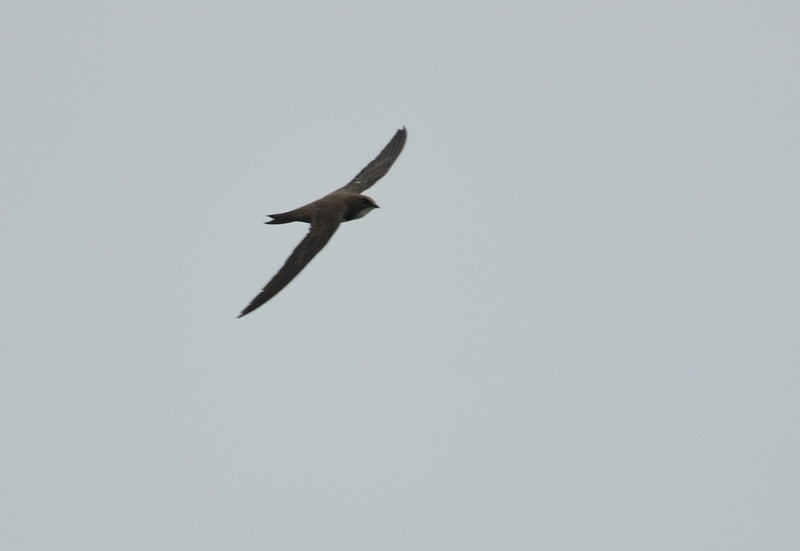 An Alpine Swift was taking in the sights of Newquay this weekend. Found on Friday afternoon, it was still present today (Saturday). I watched it last night trying to roost on the balcony of the Rocklands Hotel late in the evening. Three floors below, it would have noticed a large hen-party from Swansea dressed as Life Guards ;-) on the way to the pub. Early this morning it could not have missed the revellers stumbling home from the clubs. That's Newquay for you. 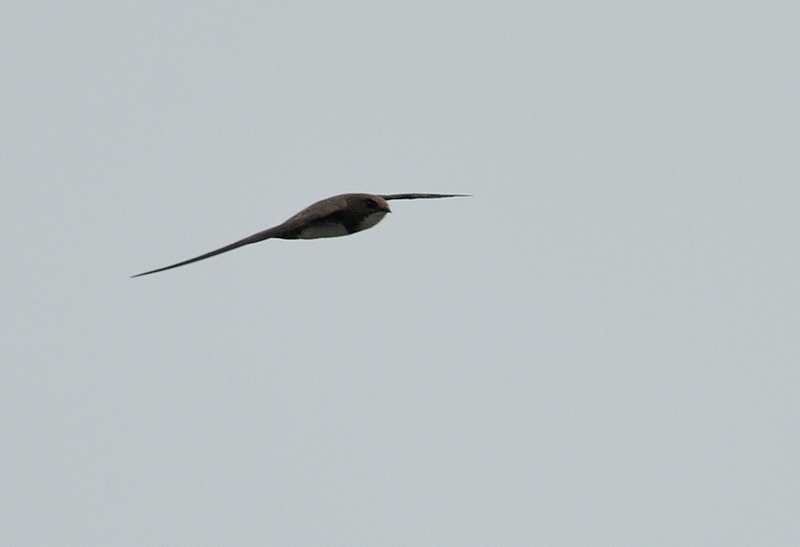 Anyway, the bird performed well sometimes flying just a few feet above our heads. 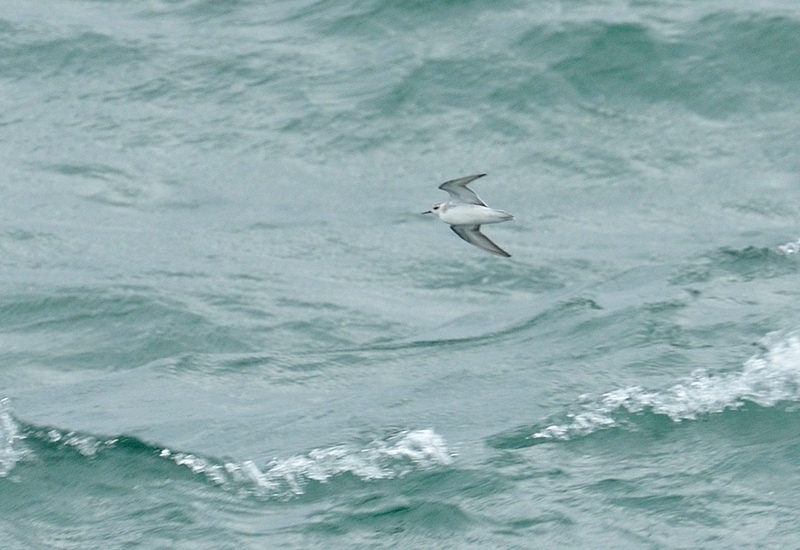 This species is in fact a new Cornish tick for me, having dipped many before. 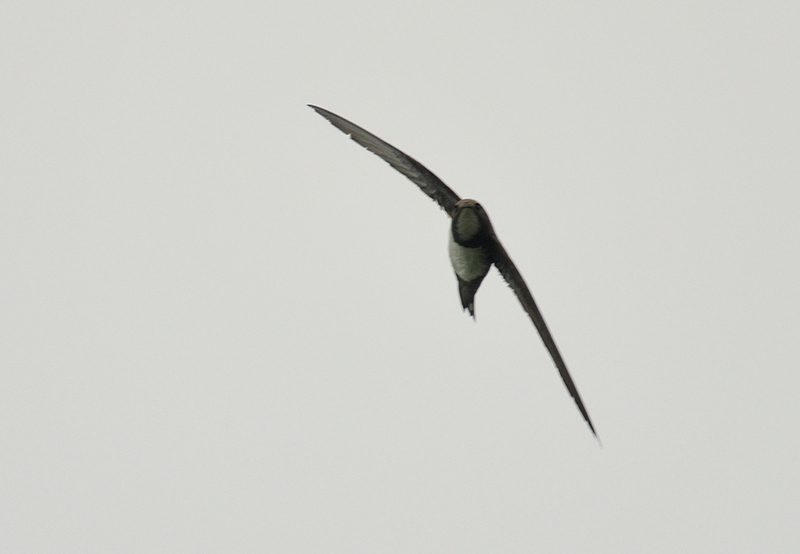 Alpine Swift is not a rare bird in Cornwall, probably annual in small numbers. They're just difficult to catch up with. This record is the 30th for mainland Cornwall and only the second for August, the majority occurring in Spring. 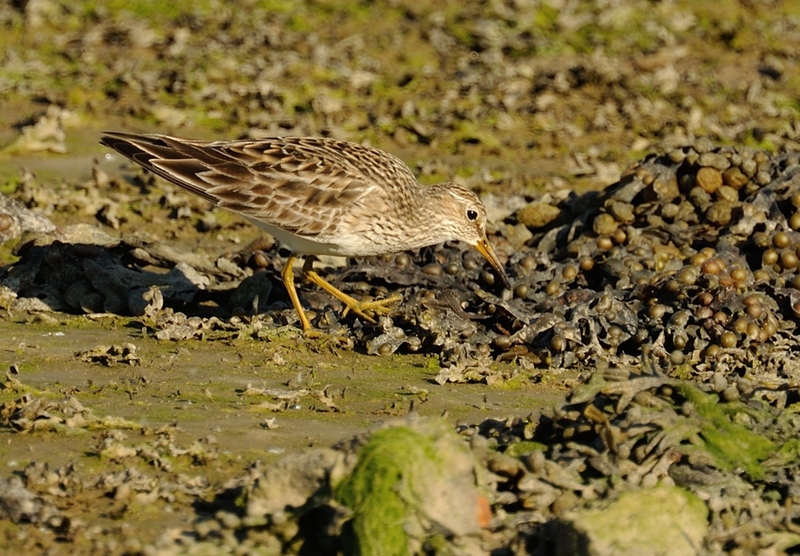 This adult Pectoral Sandpiper was found on Saturday afternoon by John Phillips near the Old Quay Inn pub on the Hayle Estuary. 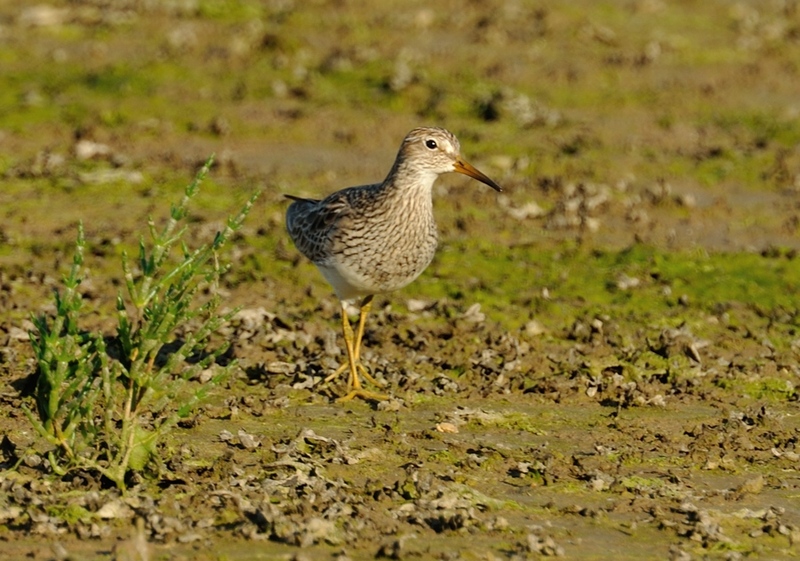 It was refound on Tuesday with other waders at nearby Carnsew Pool. 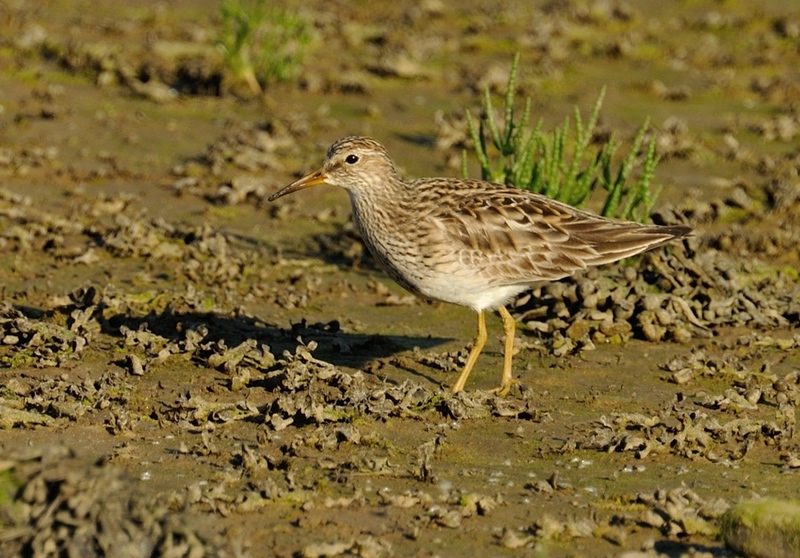 Prior to these sightings, the same or another adult Pec Sand was found (and photo'd) at St Clement, Truro and the following day at Walmsley Sanctuary. 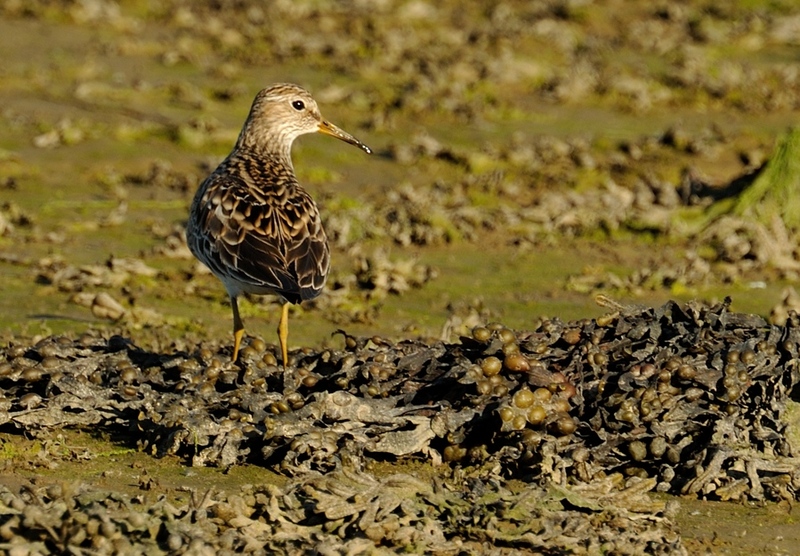 To see an adult Pec Sand in Cornwall is unusual, most of our birds being juvs. Which makes this sighting more likely to be the same individual. 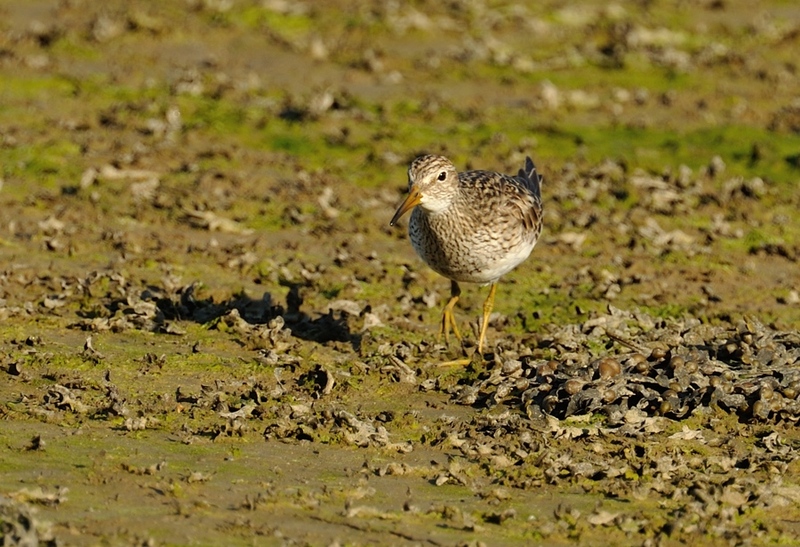 The adult below was photo'd tonight on the north side of Carnsew near the footpath. 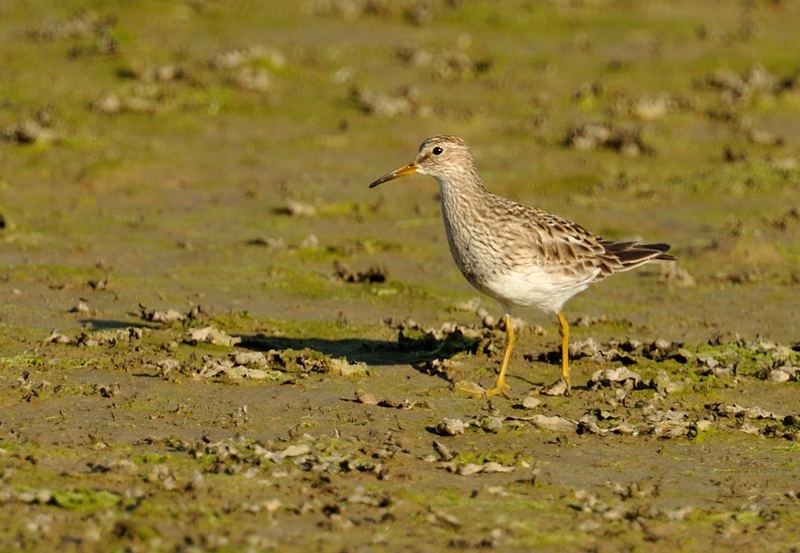 It was the only wader nearby and surprisingly confiding. All shots taken with D3x Nikon, 600mm F4, 1.4x TC. F8. ISO 160. Exp -0.3EV. With the weather being favourable for seawatching, I've spent the last three days at Porthgwarra. 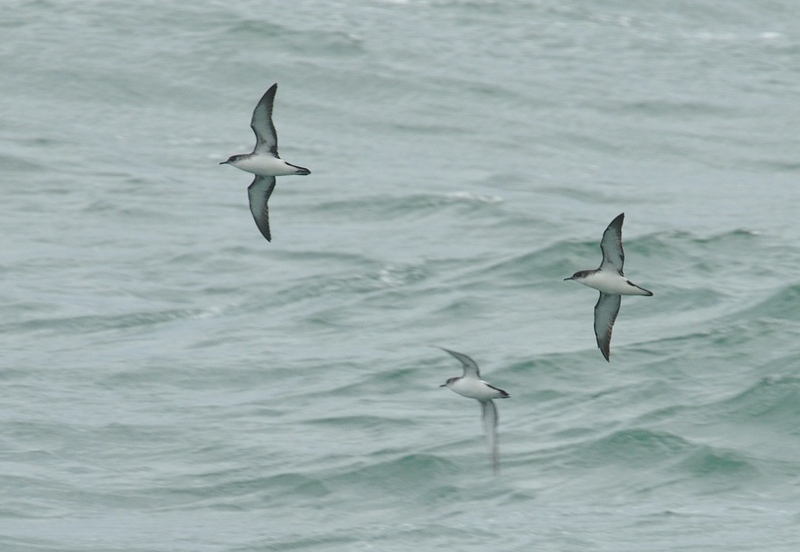 I missed the highlight of 115 Cory's Shearwater on Friday last week but was content with three birds giving good views on Saturday. The adult Sabine's Gull on Saturday was the first I've seen at this site, this species being far more regular on the north coast. 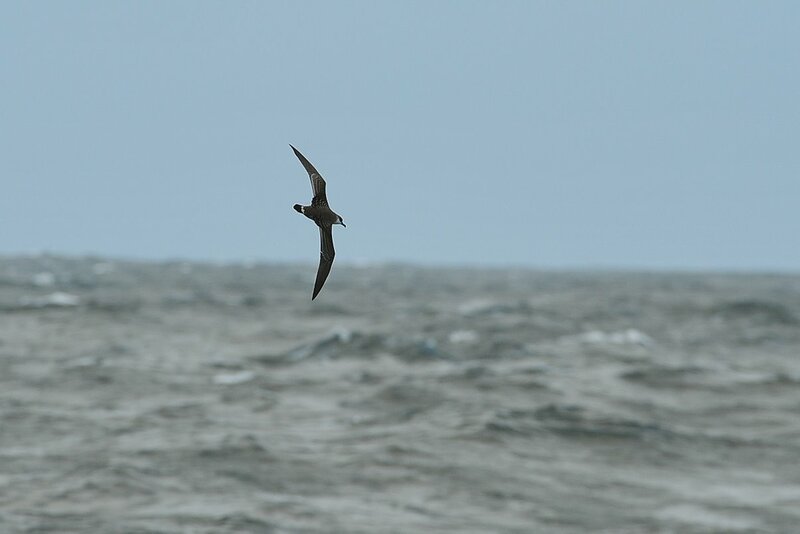 In addition on Saturday, the following were logged: two Great Shearwater, eight Sooty Shearwater, ten Balearic Shearwater and a distant Pomarine Skua. Sunday was quieter, mainly because the wind was cyclonic and variable. 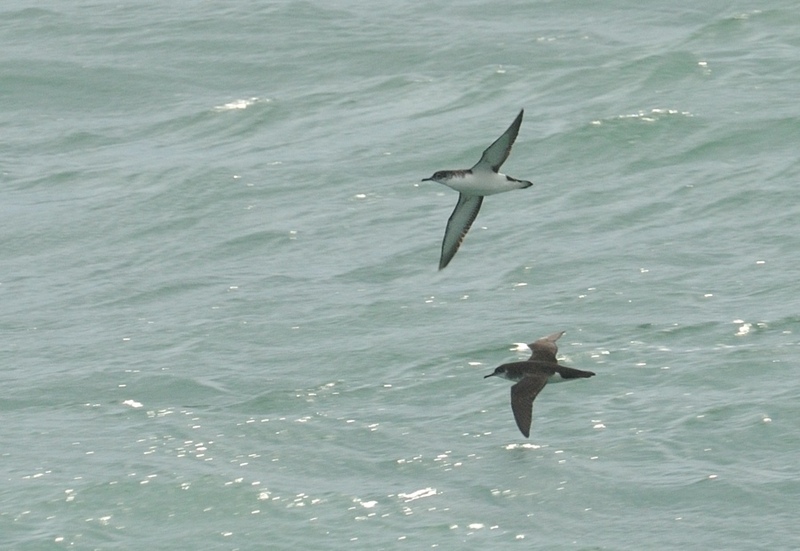 The highlight was just five Sooty Shearwater and five Balearic Shearwater. The latter species has been suprisingly scarce so far this autumn. A single Puffin was also seen. 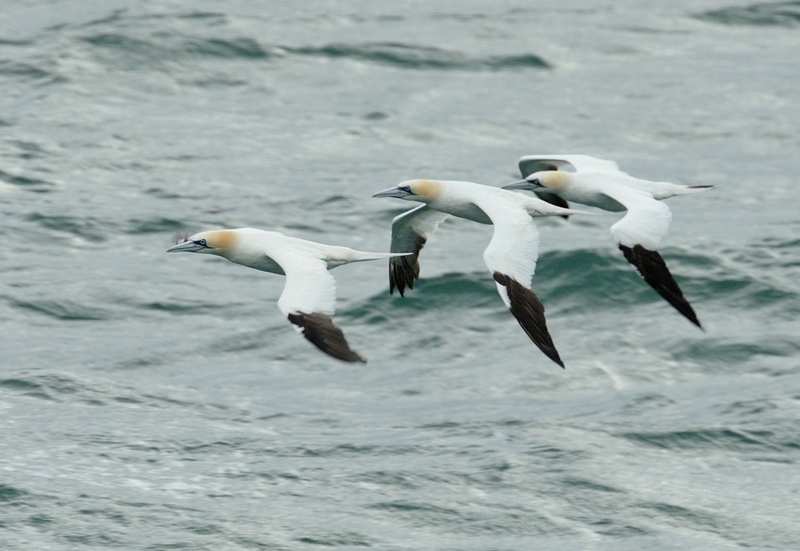 Today (Tues 7th Aug) was much better with a south westerly breeze and dull grey overcast viewing conditions. 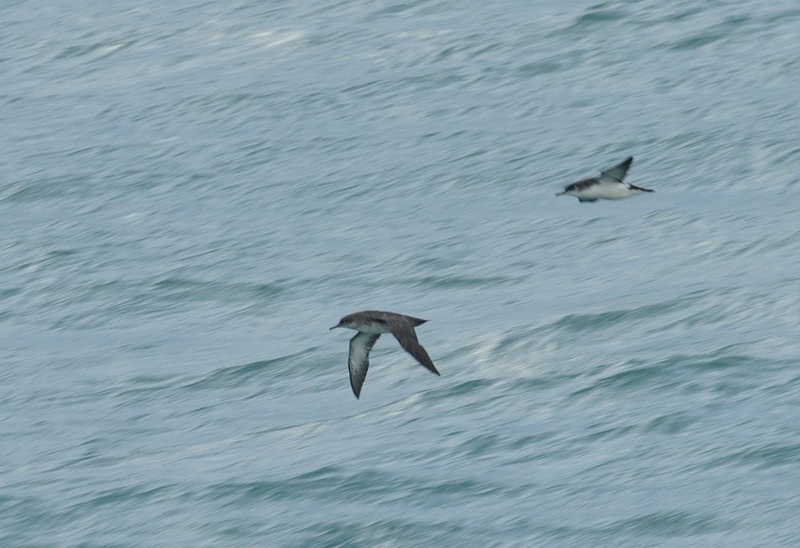 The highlight was a close Great Shearwater showing its pale rump and black cap. 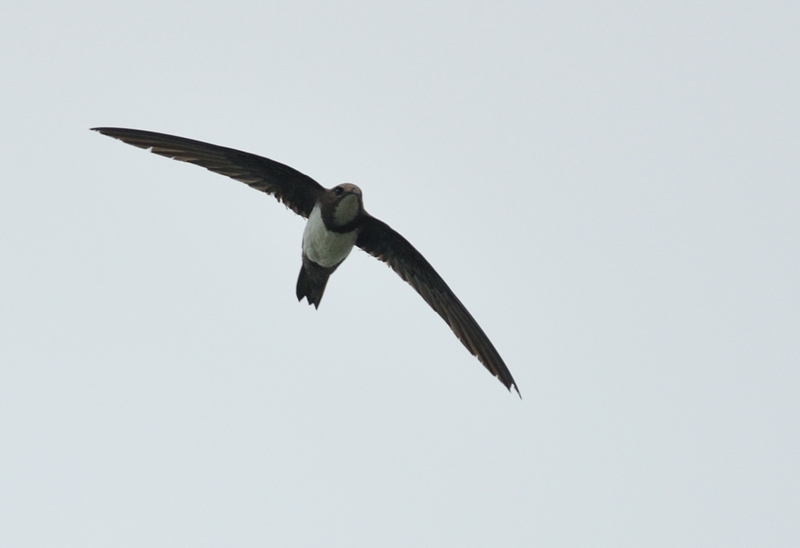 The adult Pomarine Skua with a full set of "spoons" was impressive too. 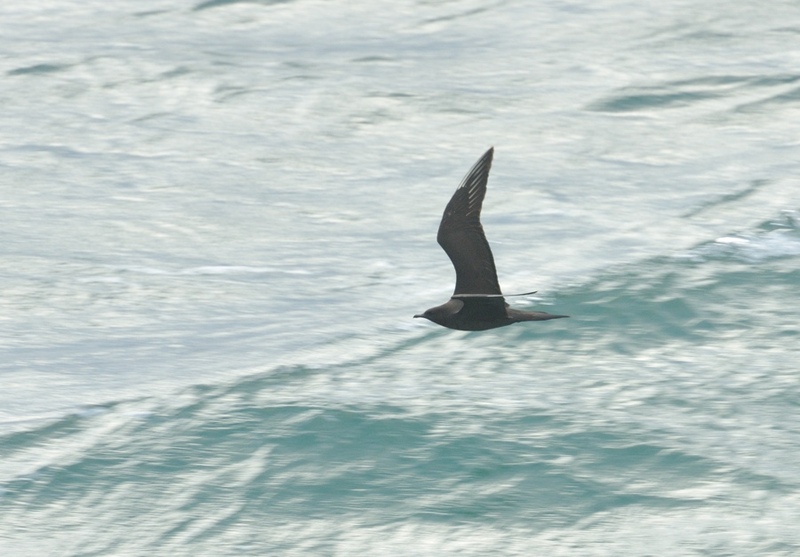 Whilst Balearic Shearwater is scarce, Pomarine Skua seems to be regular this year. I missed another Cory's but the nine Sooty's, seven Bonxies, two Arctic Skuas, two Choughs feeding in front of us and four Basking Sharks were good value. 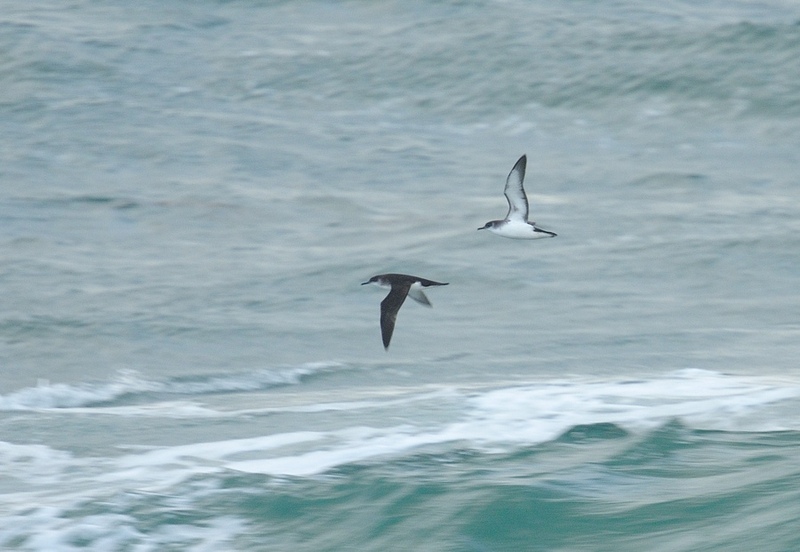 Library image: Great Shearwater, from Scillonian (Aug 2008).